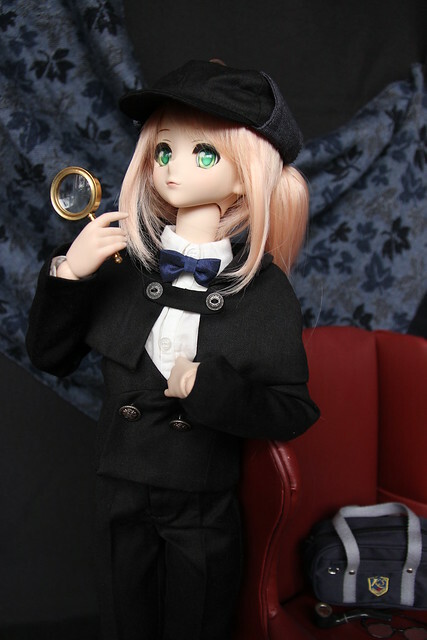 Detective Holmes is on the Case! 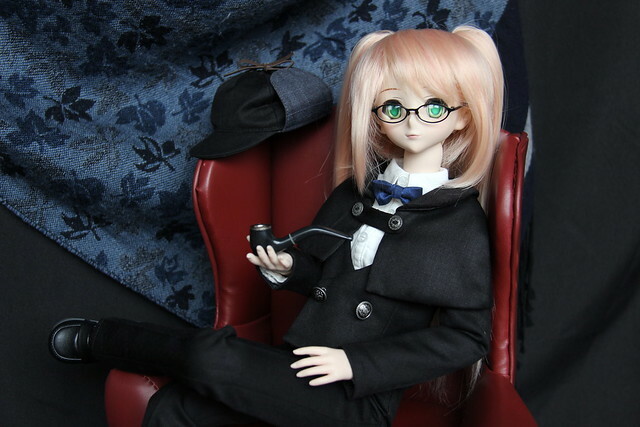 I just wanted to share a couple of photos of Gabrielle looking adorable in her “Sherlock Holmes” ensemble. 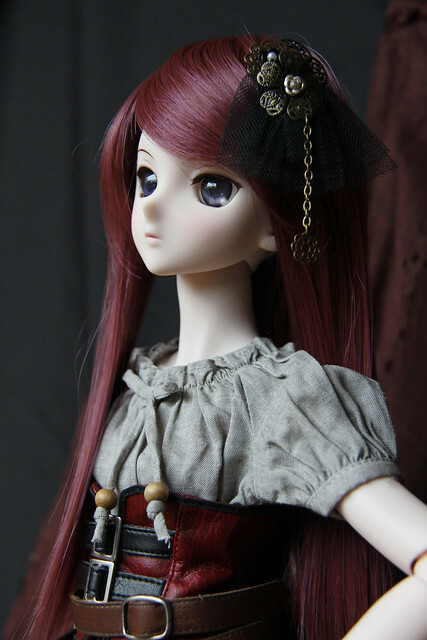 She wore it to the doll meet in Toronto in September but she got buried in the back of the doll pile! “Sherlock” could be resting in the parlour of 221b Baker Street here. Oh Gabi, you’re so cute! I’m finally getting around to sharing a few photos that AlphaZ and I took on our trip to Japan in October. It was a wonderful vacation, even if it got off to a bit of a rough start @__@” Cin & I had some difficulties with trying to travel on a stand-by pass and in the end decided it wasn’t worth wasting our vacation days traveling back and forth to and from the airport and bought full-fare tickets on United Airlines to get us to Tokyo. For me, it was an interesting peek at how another airline functions, and since we had confirmed tickets it was rather stress-free. In the 2.5 day head start that AlphaZ, Squall18 (aka Bosu) and Sarcasm-Hime had, they tackled a lot of touristy things and shopping! 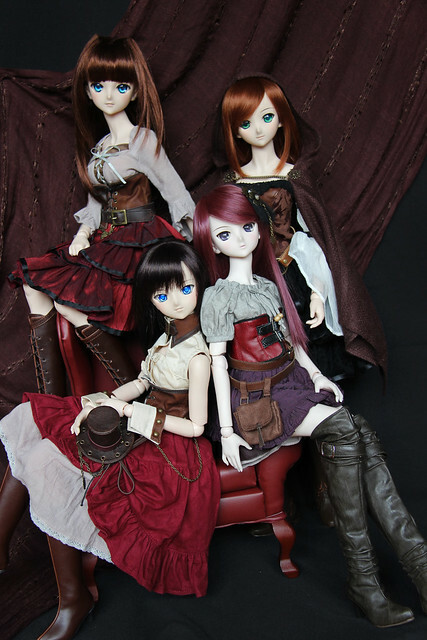 Welcome Home Dollfie Dream Alice Kuonji! 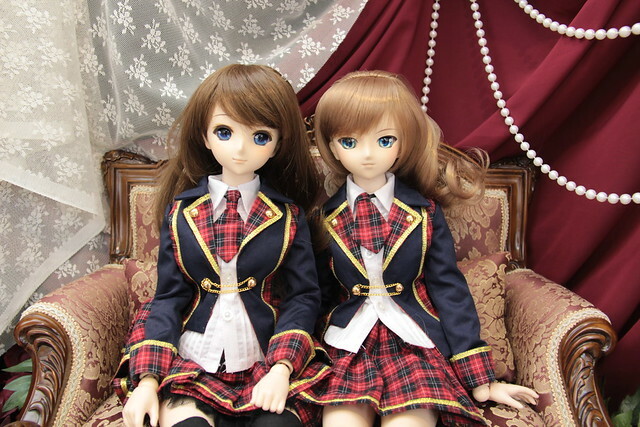 It’s been quite a while since I’ve welcomed a new doll into the family, but I’ve been patiently paying for my newest doll on layaway for the past 6 months. 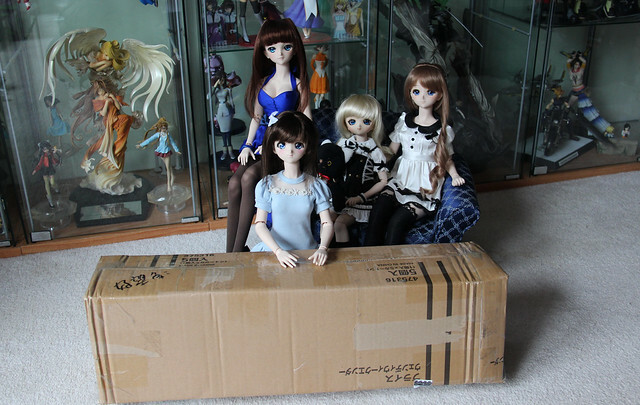 Moe-chan was first to greet the postman so she brought the box into our room, where Micaela, Médée and Serena were also hanging out. The shipping box looks so small! It was a snug fit but with Micaela’s help, Moe was able to unpack it! 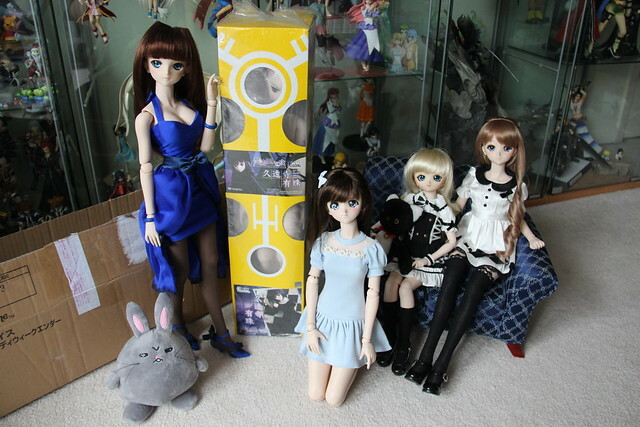 Here is the box for Alice Kuonji – one of the standard yellow Dollfie Dream boxes!